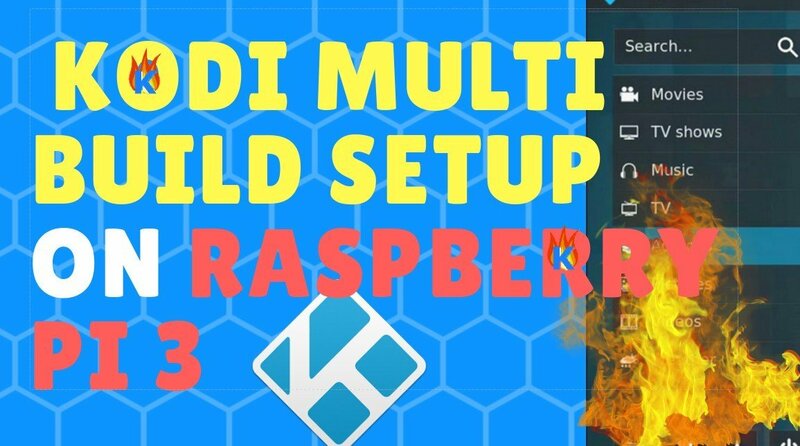 This guide shows you how to do the Kodi Multi Build Raspberry Pi install process. Don’t worry – it’s easier than it sounds. This install gives you 2 Kodi builds on 1 Raspberry Pi! P.S. – Make sure you sign up for a VPN (set it up with my my VPN Setup tutorial video here) on your home network to keep the data sent and received by your Raspberry Pi (and all your other devices) safe and secure! The “VPN method” also unblocks Kodi streams. Use NOOBS or PINN to install two Kodi operating systems onto 1 Micro SD card (ex: LibreELEC with Pulse Build + OSMC with No Limits Magic Build). See the full steps below to setup multiple Kodi builds on 1 Micro SD card. Or use Method B for two Micro SD cards (or more). 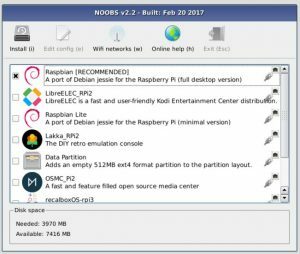 NOOBS for Raspberry Pi for installing RetroPie emulator system, LibreELEC for Kodi, or Raspbian with PIXEL for a Desktop PC environment. Install Kodi TV app on Raspberry Pi with PINN! What’s the difference between the Kodi Multi Build Raspberry Pi 3 methods below? With Method A, we gain the advantage of not having to switch out the Micro SD card when we want to switch Kodi builds. Both Kodi builds reside on 1 memory card with this multi build install method. So the easiest way to do this is to use NOOBS or PINN to install two different Kodi OSes, such as LibreELEC and OSMC. After that, we just install a Kodi build on each one as we normally would! Using Method B, we gain the advantage of being able to deal with the Kodi builds independently, since they will each have their own Micro SD card. This method makes it easier to deal with the Kodi installations / Kodi builds one-at-a-time. So if you mess up the build install on 1 Kodi installation – it’s not going to mess up the other one (since they’re on different memory cards). With Raspberry Pi powered off, insert the Micro SD card into the Raspberry Pi. Power on the Raspberry Pi. When it displays a “Network connection” popup message, click OK.
Then select your WiFi network and enter your WiFi password. Then click Continue. Now select the checkbox next to LibreELEC. Then also select the checkbox next to OSMC. Click Install. If it asks you to confirm, click Yes. Then wait for Raspberry Pi to download and install your Kodi operating systems. This usually takes 10 to 60 minutes, depending on your Internet speed. When you see the “installation complete” popup message, click OK. Raspberry Pi will now reboot. 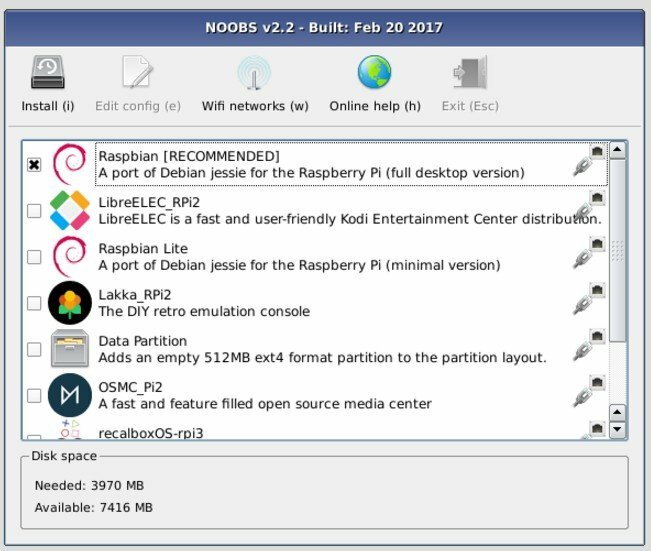 After Raspberry Pi reboots, select LibreELEC from the list of operating system options it gives you. 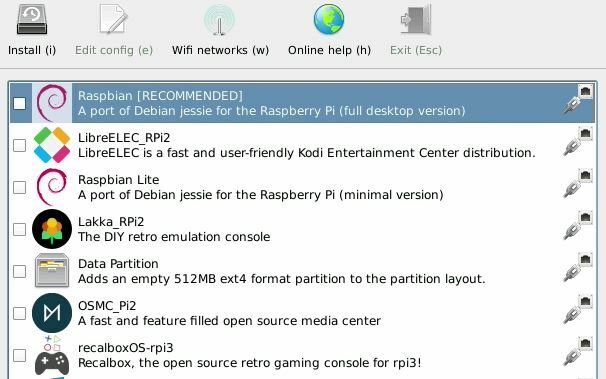 Once the Raspberry Pi starts up Kodi (“LibreELEC”), install a Kodi build using one of my Kodi build video tutorials. Then power off the RPi 3. Power the RPi back on – but this time select the other Kodi operating system (OSMC). After RPi boots up into OSMC, install a different Kodi build using my tutorials to install the Kodi 17 Best Builds. Repeat this process from Step 1 with a second Micro SD card, and at Step 2 install a different Kodi build than you installed in Step 1. Good luck, have fun, and be safe!